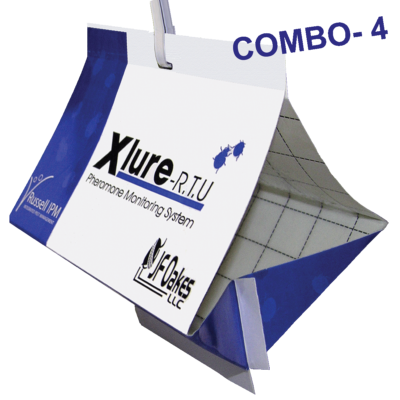 XLure R.T.U. Multi-Species Beetle Floor Traps combine multiple pheromones, highly specialized, patented beetle food lures and an enticing dark, cozy, dust free environment for maximum attraction of most stored food product beetles, both male and female, as well as a wide range of borers, weevils and their larvae. 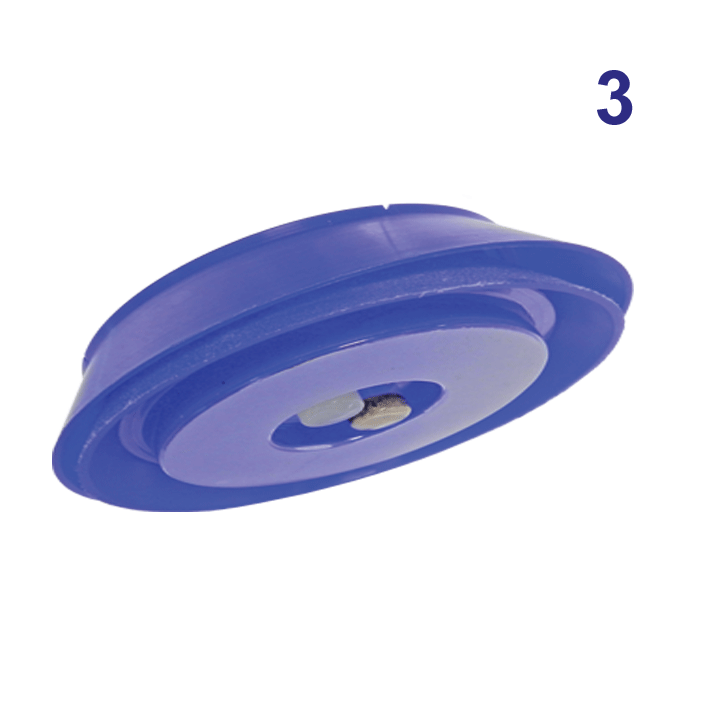 A filter paper soaked in various grain oils (also an attractant) lines the bottom of the cartridge. Fallen and captured beetles are coated in this oil, making attempts to climb up the interior wall slippery and impossible. A tab at the top of the trap can be used with XLure’s Tether System to secure the trap in place, preventing unwanted removal/displacement. XLure’s R.T.U. 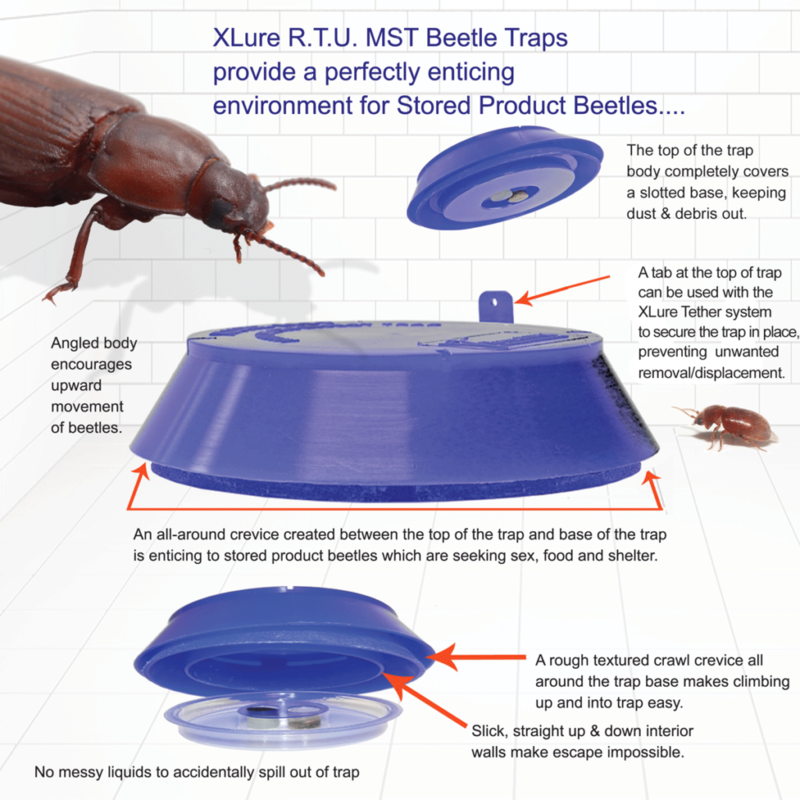 MST Beetle Floor traps can be use as part of a comprehensive monitoring program in food processing facilities, manufacturing plants, food storage facilities,pet stores, homes, schools, hospitals and nursing homes. 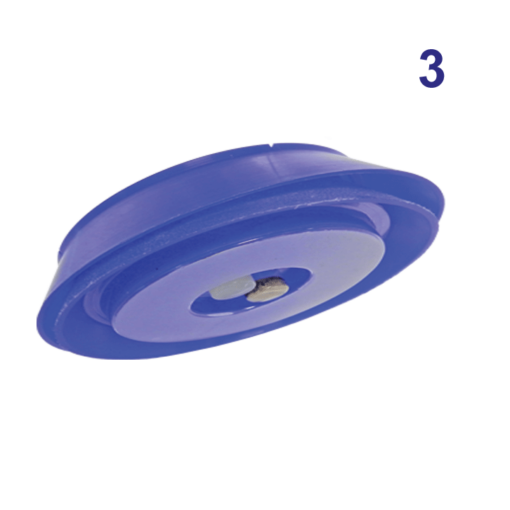 Set the traps at a distance of 15′ – 25′ apart initially. 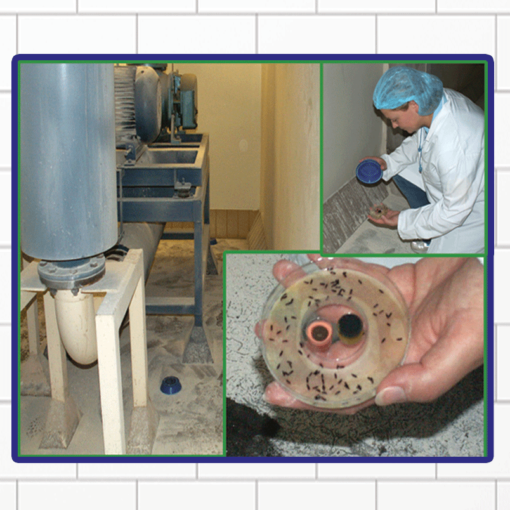 Increase and decrease spacing as indicated by regular trap inspections for pinpointing infestation. 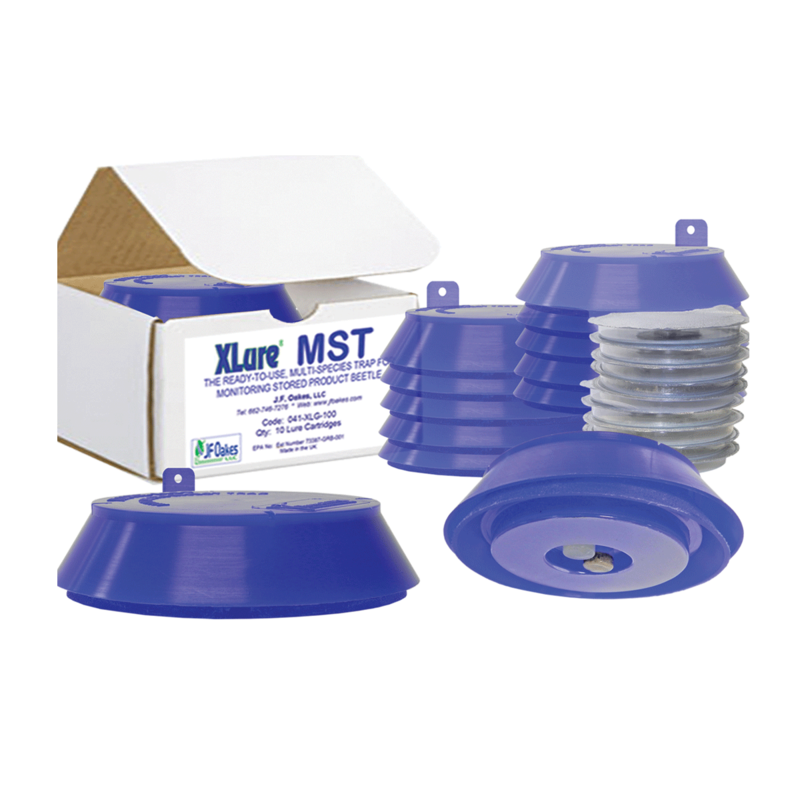 Replace the cartridges every 6 – 8 weeks or earlier if full. 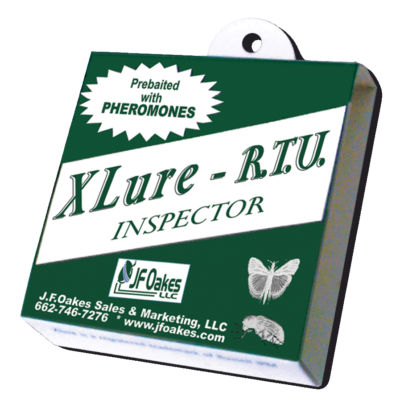 Replacement Pheromone/Food Lure cartridges are sold in boxes of 10. 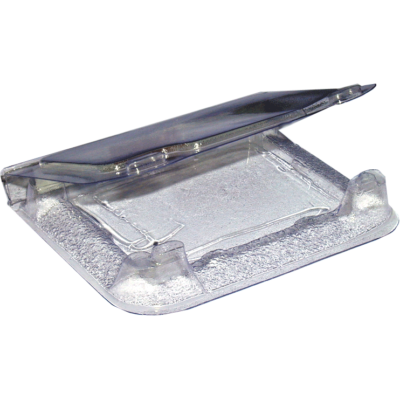 Each cartridge is sealed to ensure it reaches you at peak attractiveness. 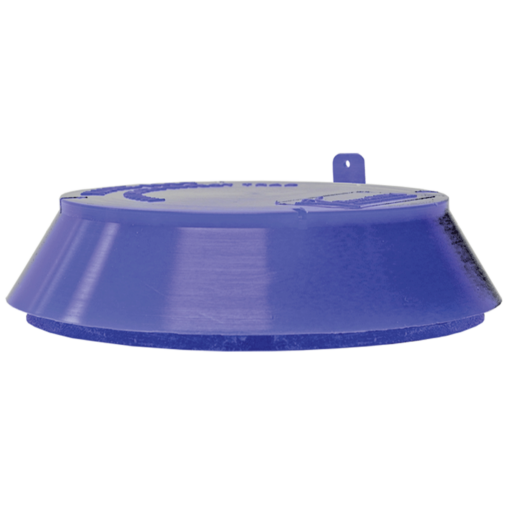 For use in: Any premises prone to stored product beetle infestations: Food processing plants, manufacturing plants, food storage facilities, pet stores, homes, schools, commercial kitchens, hospitals, nursing homes, etc.